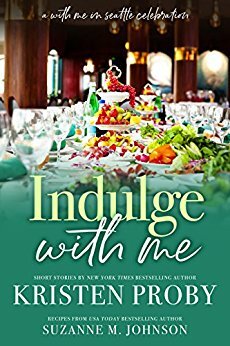 I love cooking and baking, so when Kristen Proby and Suzanne M. Johnson teamed up for INDULGE WITH ME, I was so excited! Centered around celebrations with the Montgomery family, we get delicious recipes for brunch to dinner parties. 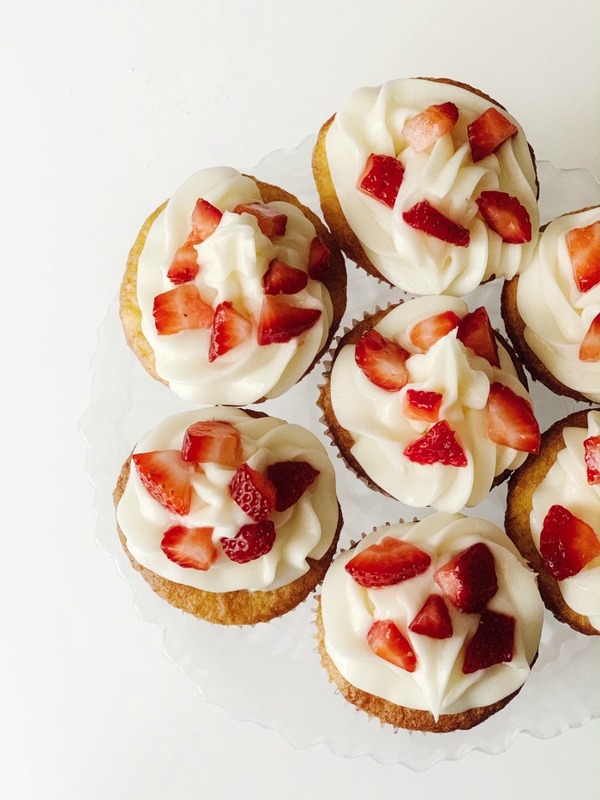 My nine-year-old son Luca and I love baking together, so we teamed up too, to make strawberry lemonade cupcakes. In a large bowl, mix together the cake mix, oil, eggs, Jell-O and orange juice using a hand mixer. Pour the batter into two 12 lined cupcake tins. Bake for 20 minutes or until a wooden stick comes out clean. 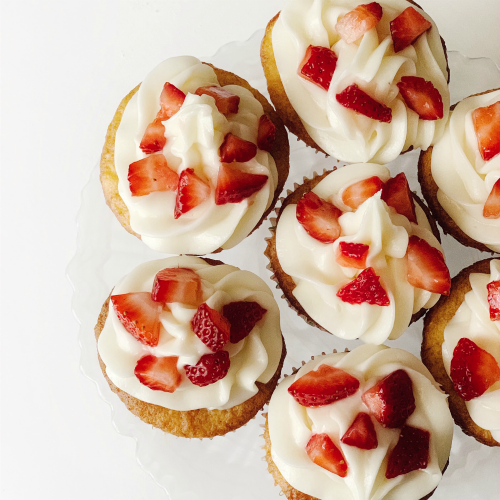 While the cupcakes are baking, mix together the butter and cream cheese until fluffy. Add in the powdered sugar and mix until blended together. Stir in the strawberries (or you can add them at the end as toppings too). 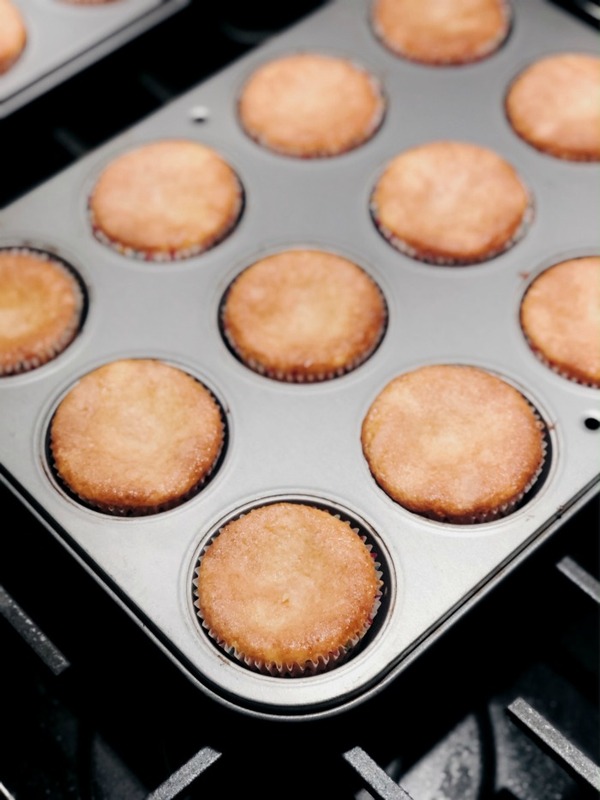 Removes the cupcakes from the oven and allow to cool completely. 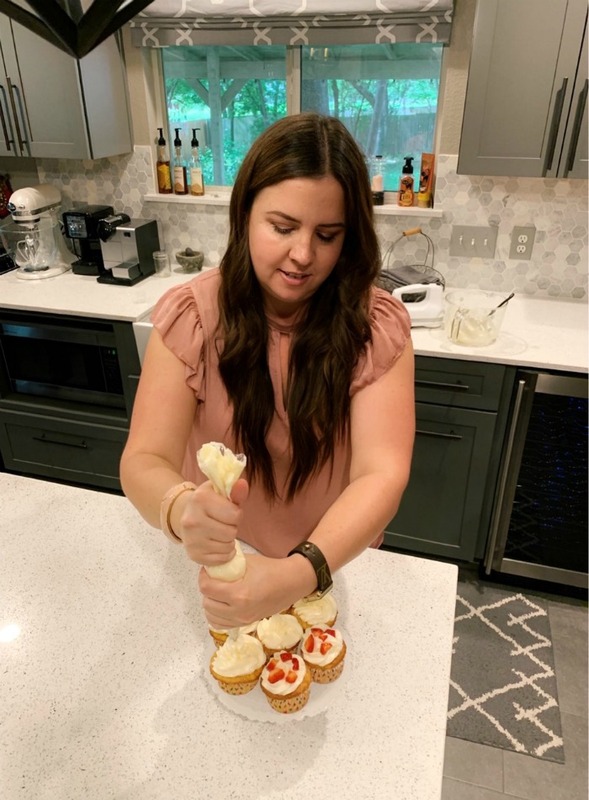 Top each cupcakes with the icing using a piping bag or knife.